As one of the least visited countries in Southeast Asia, any trip to Myanmar is sure to sure to feel a bit off-the-beaten track. You’ll find ancient temples and monasteries, beautiful handicrafts to take home as souvenirs, and in many ways, a culture and way of life that’s remains relatively unchained for centuries. But in addition to these iconic religious and cultural sites, there are tons of unique things to do in Myanmar to ensure that you have an authentic, intimate, and culturally-rich adventure. For first time visits, most travelers will make their way through Myanmar’s most popular tourist destinations: Yangon, Mandalay, Bagan, and Inle Lake. Thankfully, none of these cities and towns have yet been overtaken by the tourism industry, so you’ll be sure to have authentic cultural experiences alongside locals anywhere you go. However, if you’re looking for things to do in each destination that are a bit unexpected, consider adding these activities to your Myanmar itinerary. For my complete Myanmar Guide, download my latest e-book! A far cry from a luxurious mode of tourist transit, the Circular Train (or Circular Railway) is as gritty as it gets, and was one of the most off-the-beaten-track cultural activities I did in Myanmar. The railway is a commuter route that services the small villages in the outskirts of Yangon, and a ticket will set you back a mere 200 Kyats (about 10-20 cents). Along the way, you’ll find yourself in the thick of local life, with all its chaos and color and excitement. Except to see locals bathing or slaughtering chickens or hanging wet clothes to dry along the train tracks; vibrant markets plopped on the dirt train platforms with eager food vendors that often make their way inside the train cars themselves to sell to commuters; locals making their morning commutes carrying bamboo baskets filled with tobacco or rice or chickens, with their entire families in tow. Consider grabbing a tea or snack from a vendor (fried tofu with chili is a popular option, and I suggest staying away from meat), chatting up the locals, and soaking in as much as you can both within the train and outside its windows. The entire loop to and from Yangon Central Railway Station takes about three hours and perpetually runs about 30 minutes late. However, I suggest hopping off the train whenever you come across a market or town that seems interesting. 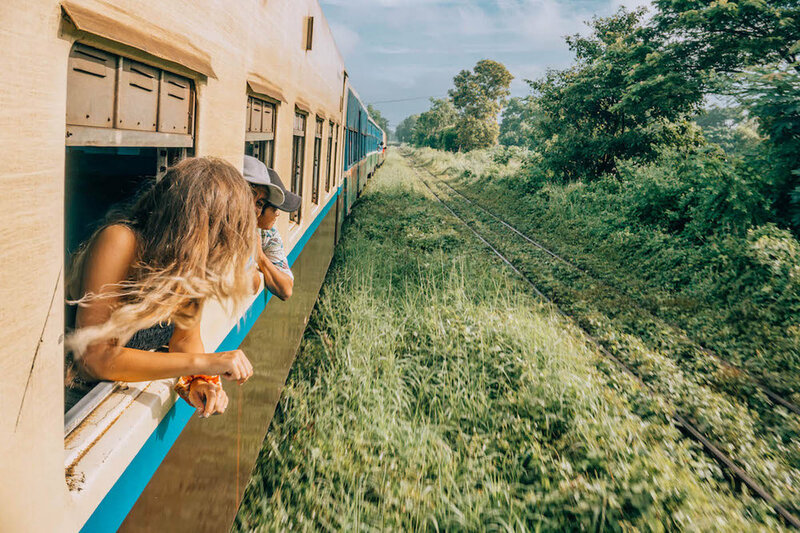 Go explore for a while, and then hop back on the next train that passes through (the Circular Train runs about every hour) or get a taxi or Grab back to Yangon. To find the train schedule, I suggest asking your hotel for help. There does not appear to be an updated schedule posted online, and a visit to the station is possible but may leave you even more confused (don’t expect to find any English speakers working there). Also, note that the Circular Train is notorious for having a rather “elastic” schedule that is more akin to a rough estimate of arrival times. Although once the imperial capital of Burma during the 14th and 19th centuries, a series of massive earthquakes left the little island of Ava, otherwise known as Inwa, in ruins, which is much of what you’ll find there today. It’s a bit of a hidden gem, as even most locals didn’t know Ava existed until quite recently. However, you’ll still find a large handful of people that still inhabit the island, as well as a treasure trove of ancient ruins just waiting for you to explore. You’ll find some beautiful and unique souvenirs in Ava, such as antique stone pipes and wood carvings that. It’s a good idea to bargain here, but you’re still likely to get great prices as compared with the bigger, more touristed cities. To get to Ava, take the public ferry from Mandalay to the Ava Jetty, which runs pretty regularly. The ferry costs about 1,300 Kyats roundtrip, and once you arrive, you’ll need to hire a horse buggy (starting at 10,000 Kyats) or rent a bicycle to get around the island. Bagan is most famous for its thousands of ancient pagodas that offer visitors spectacular sunrise and sunset views. However, in between your morning and evening spent temple hopping, you’ll need to find some way to fill your time. Rather than hiding inside your hotel room all afternoon, consider taking a cooking class with Pennywort Cooking Class. If food or local culture interests you in the slightest, you’ll love this experience. You’ll start the morning by visiting the local New Bagan market — it’s a smaller, more local market than the popular Nyaung-U Market, so there’s a good chance you’ll be the only foreigner there. 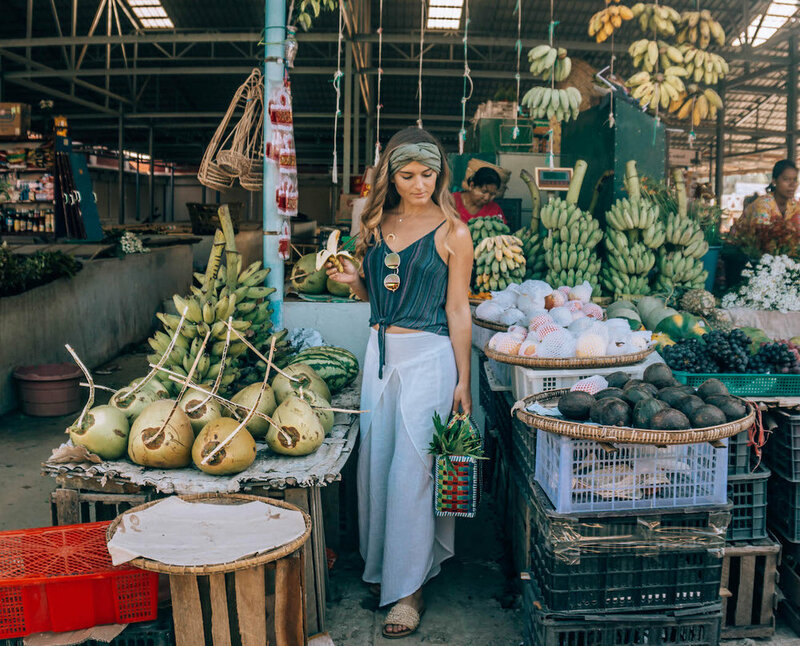 May, who will be your instructor, will guide you through the market explaining the produce, preparation of dishes, and cultural significance of it all, as she selects items here and there for your cooking class. I even had the opportunity to walk around the market on my own, picking out strange items that I wanted to try (May can make a meal out of anything, so she really did encourage me to pick out whatever I wanted). After the shopping is finished, you’ll head over to a nearby tea shop for a break. Sip sweet black tea with condensed milk, accompanied by Chinese-influenced donuts and Indian-influenced chickpeas. May will explain to you about the interesting tea shop culture, where locals come to meet with friends, find work, or hire handymen for the day. 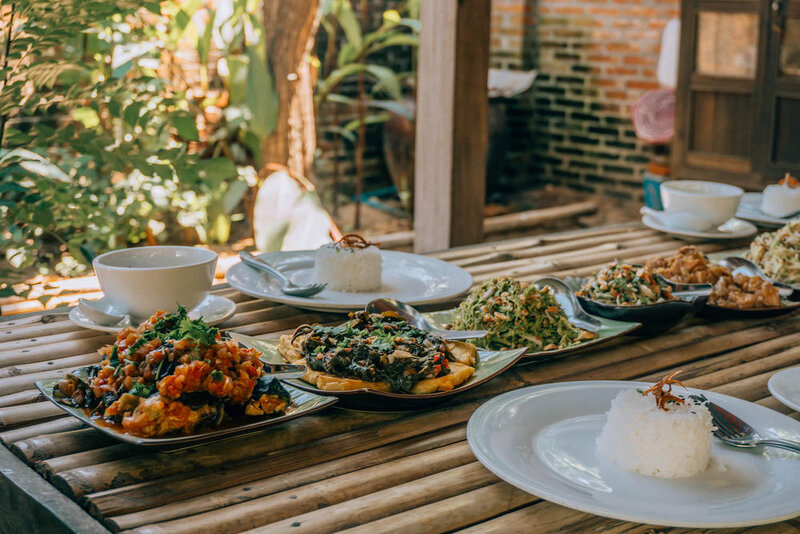 Finally, head back to May’s backyard kitchen to cook up a feast of traditional Burmese salads, tempura, curries and stews, and sweet treats. 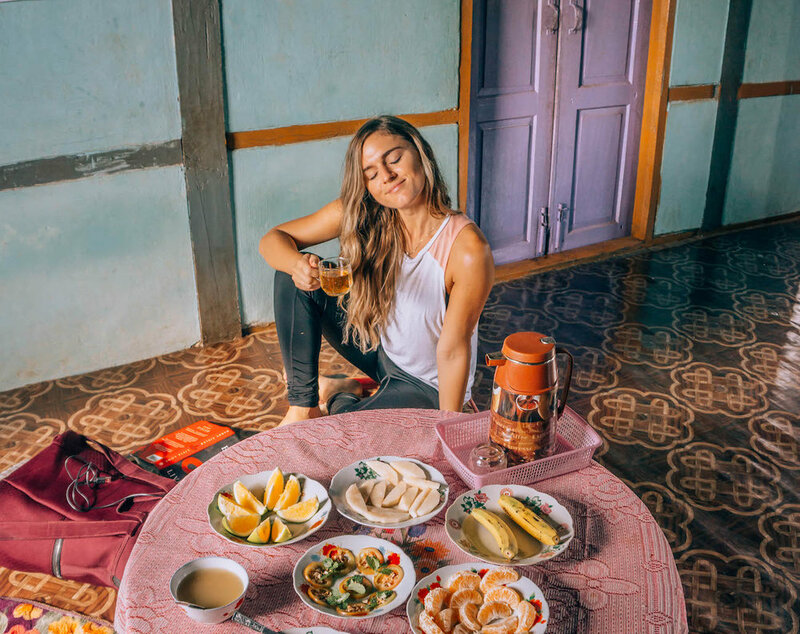 Except one of the best meals you’ll have while in Myanmar, made with fresh ingredients, loving hands, and great company. The best part? Proceeds from May’s cooking classes help sustain the eight free public libraries that May and her family run around Bagan. If you’re a vegetarian or have other dietary restrictions, May can make arrangements to accommodate you. She also offers afternoon classes with a prepared dinner, but I suggest the morning class because it allows you to visit the market with her. Although technically this 2-day/1-night or 3-day/2-night trek isn’t solely in Inle Lake, it’s definitely the best way to make your way to Inle Lake from Kalaw. Along the way, accompanied by an informative guide, you’ll walk past some of the most breathtaking scenery, including rolling grassy hills, vibrant green rice paddies, corn or pepper or pumpkin farmlands stretching for miles, and quaint little villages with no running water or electricity. This trek will offer you some really beautiful and unique insights into village life and culture, as you’ll pass through tribes of Burmese people that only live in these hills. I walked through funerals, harvests, gambling gatherings, watering holes, and even “rush hour traffic” as all the farmers returned home with dozens of buffalo. And as an added bonus, I think I only saw two other pairs of trekkers the entire time. One of the highlights of my trek (and possibly of my entire time in Myanmar) was being able to spend the night in a monastery. It was far from luxurious, but it was a seriously beautiful display of hospitality. The monks at the local monastery set up a sleeping mat, blankets, and a pillow, made private by a curtain attached to the interior pillars. They slept on the opposite side of the monastery, and we all woke up early in the morning to the clanging of pots and dishes as locals came to deliver food. Completely surreal. If you’re worried about comfort, my guess is you’ll be too exhausted from the day(s) of trekking that you’ll actually have one of the best nights of sleep on your trip. In additional to the beautiful scenery and unique experiences, this will also be one of the few times you have easy access to and the undivided attention of a local who (hopefully) speaks excellent English. I had the most interesting conversations, gained the most nuanced insight into local culture, and was able to comfortably ask some of the more difficult questions I had (for example, about Myanmar’s ethnic conflict, while my guide was able to ask me about gun violence in America) while on my trek. The conversations were as interesting, challenging, and rewarding as the physical trek itself. I can’t recommend my guide enough, who not only hosts travelers for insightful, educational, and beautiful walking treks, but also for cycling tours. You can book my guide, Mr. Qual of Kalaw Trekking & Biking Tour, by sending him an email at jskhual@gmail.com. If you’re planning a trip to Myanmar, my guess is that you have some of the most iconic pagodas, monasteries, and sunrise adventures on your bucket list. But as you head to each of Myanmar’s most popular tourist destinations, don’t miss some of these unique things to do in each city. Although perhaps a bit off the beaten track and unexpected, each of these activities were highlights of my time in Myanmar and offered some of the most authentic, rich cultural experiences of my trip. For a FULL GUIDE featuring more unique experiences like these, as well as safety, cultural etiquette, logistical, and other useful information, download my latest e-book: The Wayfaress’s Guide To Myanmar. The following are hotels I can personally recommend to you, because I stayed there and had great experiences. All include breakfast. Prices vary depending on the room selection and season during which you’ll be traveling (rainy season is generally cheaper). Have you tried any of these activities while in Myanmar? Have any others to add to the list? Let me know by leaving a comment below!